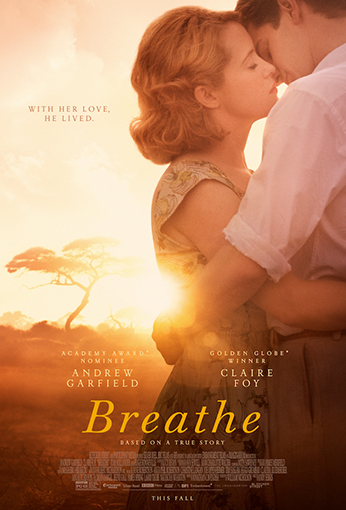 Andy Serkis brings to life the inspiring true love story between Robin Cavendish (Academy Award® nominee, Andrew Garfield) and his wife Diana (Golden Globe Winner, Claire Foy), an adventurous couple who refuse to give up in the face of a devastating disease. When Robin is struck down by polio at the age of 28, he is confined to a hospital bed and given only a few months to live. With the help of Diana's twin brothers (Tom Hollander) and the groundbreaking ideas of inventor Teddy Hall (Hugh Bonneville), Robin and Diana dare to escape the hospital ward to seek out a full and passionate life together — raising their young son, traveling and devoting their lives to helping other polio patients.